No body likes waking up early specially on a weekend but every body loves a good brunch. So if you are planning to skip breakfast and thinking about going for a brunch this weekend. We have just the places for you. Kuah Bebek Ares young banana trees soup with duck broth. 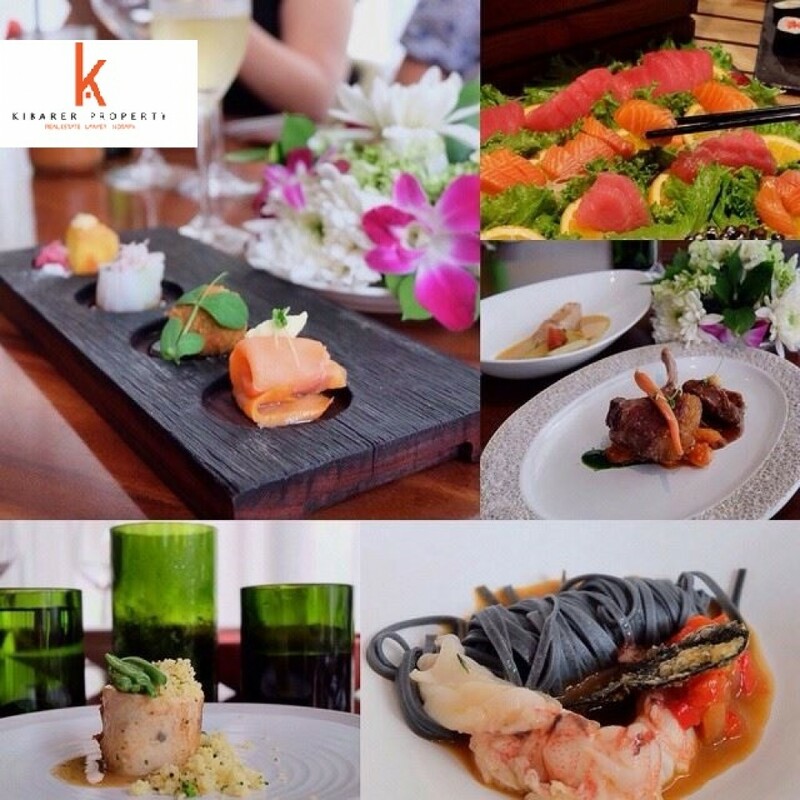 Main Courses: Ayam Klungkung , Pepes Ikan Laut, Beef Rendang, Sate Lilit, Telur Bumbu Bali, Lawar Bebek Gedang, Sayur Kacang, Kalasan, Nasi Goreng Ayam, Mie Goreng Seafood, Babi Guling. Pie Susu, Kue Lapis, Bubur Injin, Basket Fritters, Dadar Unti, Es Cendol, Es Timun Aceh. 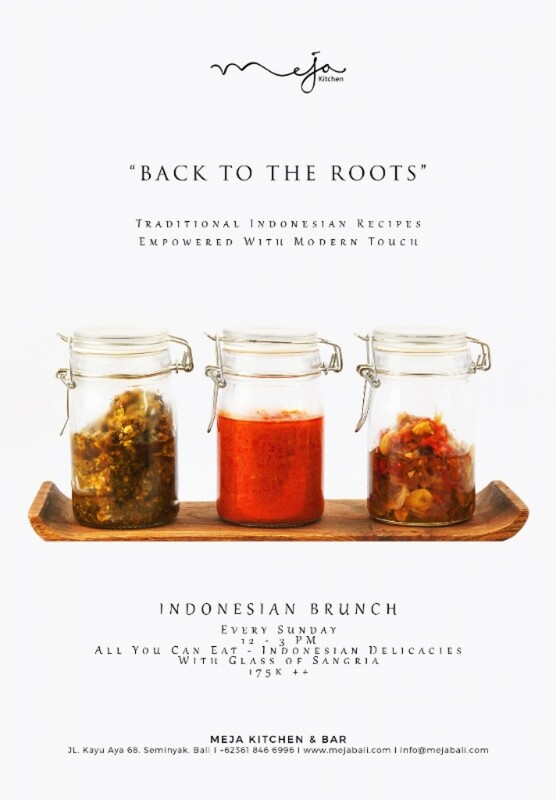 Go to the perfect Saturday and Sunday brunch at Cut Catch Cucina, Sofitel Bali with free non alcoholic drinks with a perfect delicious menu at your disposal. The good thing about this place other than the pool access is their timings. 11 Am - 3 Pm Every Saturday & Sunday. 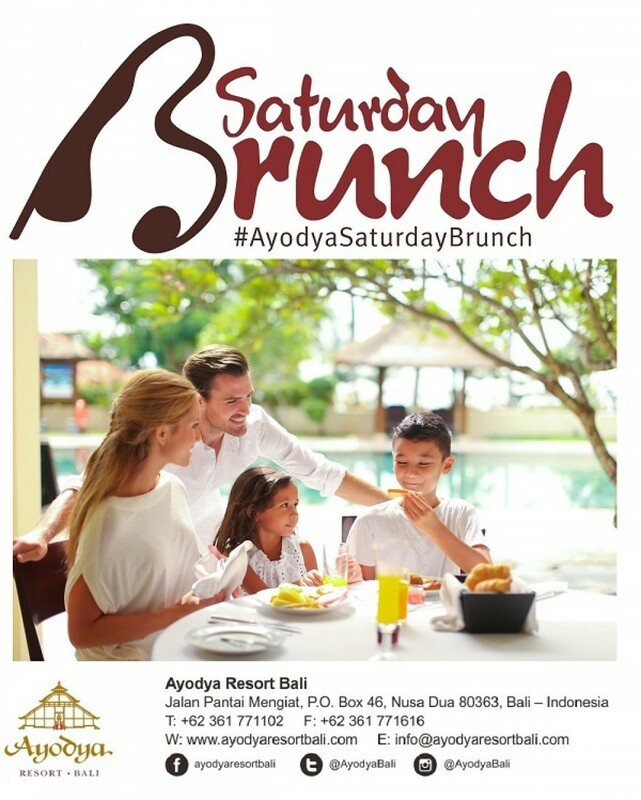 Saturday Brunch at Ayodya Resort Bali. The only thing gets better than a Saturday brunch is to have a brunch with the cuisines from 5 distinguished restaurants at Ayodya Resort Bali.